Alkaline Water or Antacids for GERD... Which is Better? “The more alkaline the water, the greater the protective effect on the arteries.” That’s the conclusion of the largest ever review of studies on the health benefits of drinking water for your heart. Alkaline water has easy-to-absorb magnesium, which is good for heart health. Clinical research suggests there are two main benefits for your heart health that come from drinking alkaline water: It can lower your blood pressure and reduce levels of the two most dangerous forms of cholesterol; triglycerides and Very Low Density Lipoprotein (V-LDL) cholesterol. A 2011 study followed four middle aged people who were clinically obese, and had never drank alkaline water before. 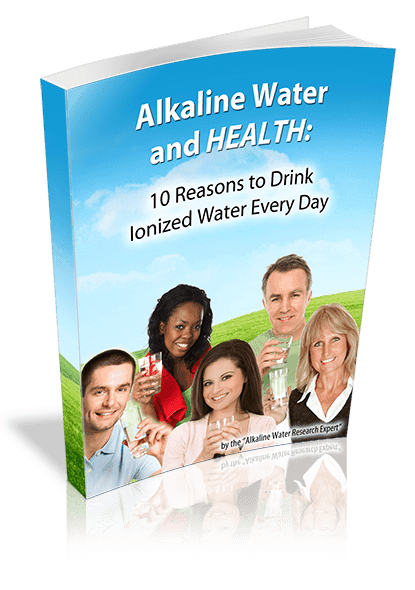 The test subjects were given 2 liters per day of alkaline water to drink. Over the course of two months, the test subjects cholesterol levels declined from 197 mg/L to 180 mg/L. Triglycerides dropped the most, from 110 mg/L to 87 mg/L. V-LDL cholesterol dropped from 22.3 mg/L to 17.5 mg/L. Alkaline water lowered the cholesterol levels in all four test subjects. Antioxidant: For best results you should drink alkaline water with antioxidant potential. Oxidation is a major factor in cholesterol build up and hardened arteries, antioxidant alkaline water has been shown to have a sparing effect on the antioxidant enzymes in your body that fight cholesterol build up. Mineral content: The National Academy of Sciences recommends a minimum water hardness of 170 mg/L. Water hardness is the total amount of calcium and magnesium combined. The ideal ratio of calcium to magnesium is 4:1, which means four parts calcium to every one part magnesium. For more information about the mineral content of your water, click here for a free water quality report. pH level: Health experts recommend alkaline water in a pH range of 8.5 to 9.5 for daily drinking. If your water has enough minerals in it, all you need to do to make perfect for heart health is alkalize and ionize it. A water ionizer does both: It raises the pH of your water by converting the hard-to-absorb bicarbonate minerals in your tap water into easy-to-absorb alkaline mineral hydrates, then it ionizes it with antioxidant potential. For best results, you want the highest possible antioxidant level in alkaline water with a pH level from 8.5 to 9.5. LIFE Ionizers guarantees that you will get the highest possible antioxidant potential in your water in that perfect pH range of 8.5 to 9.5 when using our top of the line Life Ionizers. Take control of your heart health. Call us at 888 461-6878 we can make your water into the best water for heart health, for less. This is an excerpt of Benefits of Alkaline Water for Heart Disease. The full article goes into more detail and includes references to research.